Mark Lawrence: A Year in Numbers ... Seven! A Year in Numbers ... Seven! It has been a very good 2017 all told! Following on from similar posts at the same time in 2016, 2015, 2014, 2013, 2012 and 2011 I record a year of ups and less ups. I take a minute to do the sums and raid the scrapbook. 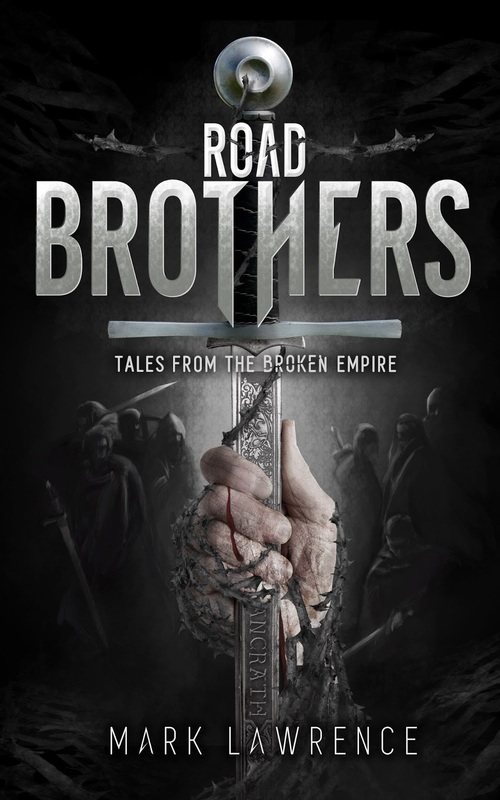 High points include the release of Red Sister and the extended Road Brothers. 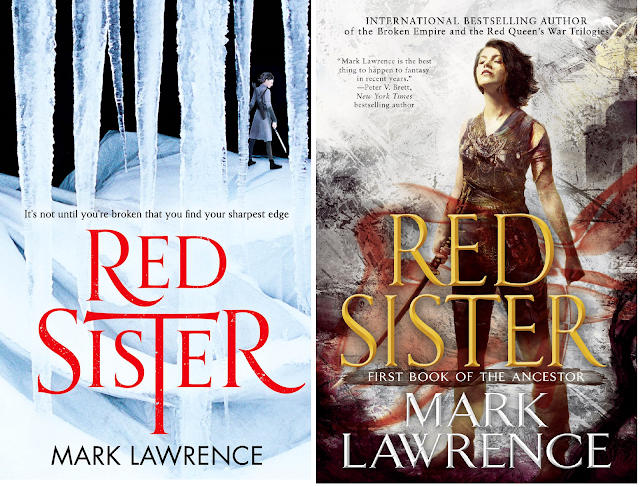 Red Sister turned out to be my seventh novel in a row to make the Goodreads Choice Award semi-final. Another high point was when The Wheel of Osheim made the finals of the David Gemmell Legend Award! 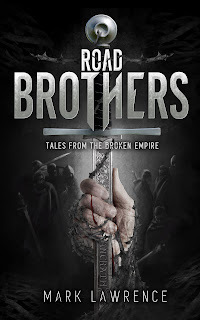 Red Sister was part of an Amazon promotion and made it to #3 in Fantasy! And would have been #1 but for some book called ... A Game of Thrones. 2017 has been the year of the omnibus, with the Broken Empire special edition from Grimoak selling down to 152 from the initial 1000, and the issuing of omnibuses in Hungarian and Brazilian Portuguese (a particularly lovely edition) to join those in French and Italian. I also signed deals for 6 more books! 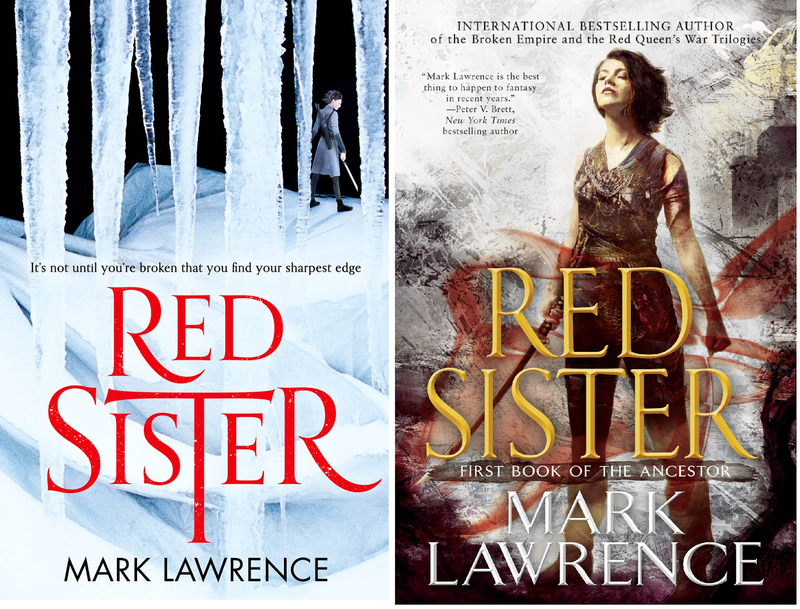 A trilogy in the same world as the Red Sister / Book of the Ancestor trilogy, and another trilogy that is set in 80s London, centering on a D&D group with some scifi stuff going on! Progress on the Four Horsemen of the Apocalypse card game has been incredibly frustratingly slow but the project now really does seem close to completion. Ragnarok no longer have any role in the project and the reins have been taken up by Gallant Knight Games who hopefully are living up to their name by riding in to save the day. 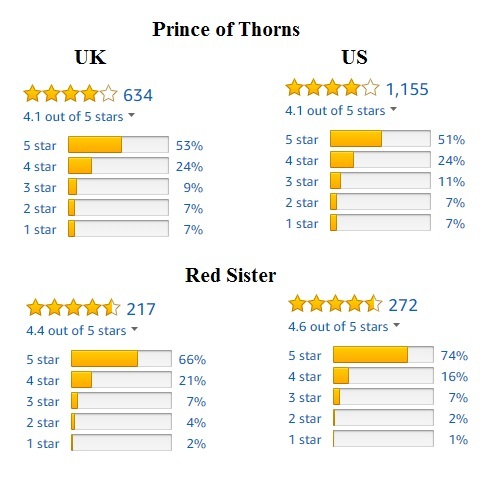 Prince of Thorns sold its 500,000th copy in English this year. 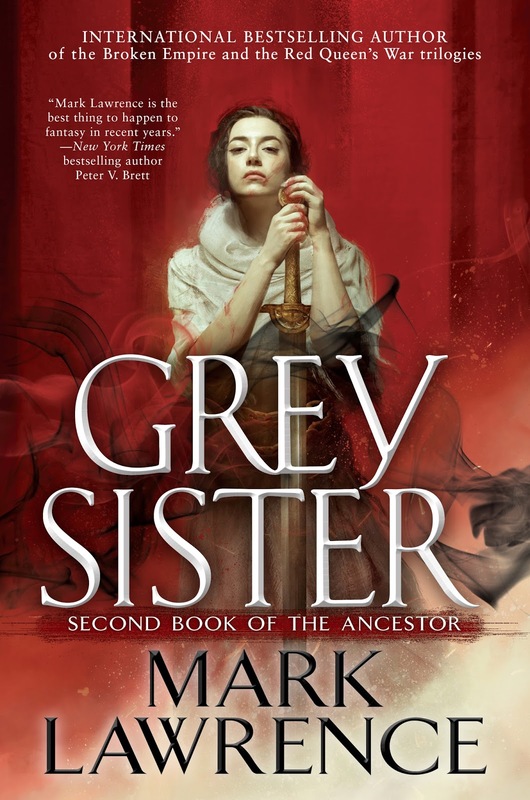 The second Book of the Ancestor, Grey Sister, comes out in April 2018 ... you should pre-order that! 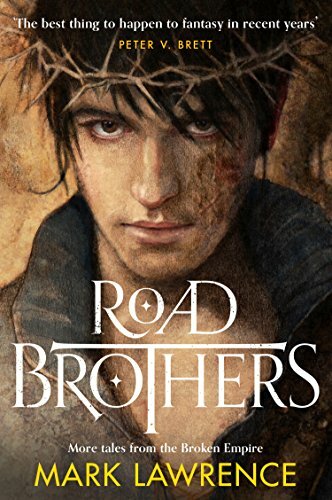 I now have almost 200,000 Goodreads ratings and nearly 500,000 'books added'! The numbers boggle my mind. I also established a rule of thumb linking Goodreads ratings to sales, which tells me that I have now sold 1.5 million books in English! The blog got its 2 millionth hit in 2017, though for the first year there has been a slight decline in traffic (the Russian bots have been less busy). Must try harder! This year I joined Instagram. Pintrest, and Tumblr! And exceeded 10,000 followers on Goodreads. And finally, Twitter, where I'm threatening the 20,000 follower barrier! Which is really very small beer in the world of tweeting. Oh, and thanks to an Amazon Goldbox promotion Xmas came early! Congrats, Mr. Lawrence.I wish a happy new year to you and your family. 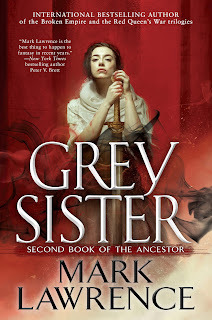 Red Sister gets a new cover! In other news ... I'm on Instagram now!